Okay, we can't leave Madison out. She got to go to her school for a sneak peek into her first grade classroom. First thing we had to do was walk up to the front doors to take a look at the class assignments to find out who her teacher was. I was on the fence about having a preference so I can't say if I am happy or not. I know that Madison will do well in either classroom and this teacher has alot of experience and is great with classroom management so I am sure it will be a good experience for us. It was difficult to see that some of her good friends are in the other class and both Madison and I had a few sad moments but I quickly reminded her how much she will get to see them at recess and we can do lots of playdates. It is amazing how emotional you can feel about school. The thing Madison seemed most excited about is her own desk! When I said I was going to take her picture she had me wait until she could pose with pulling the book out of the desk. ADORABLE. I am feeling very emotional about the start of first grade. It is seeming even harder than last year with kindergarten. I think the fact that she will be gone ALL DAY is tough to accept but I suppose I have to learn to let go. I know she will do great but I also know Nora and I are going to miss her alot. Madison and I got a special Mommy and Maddy day out on Tuesday. It is very rare that we have done things without Nora so this was very special. We shopped for her first day of school outfit and then went to the American Girl Kit Kittredge movie, which she loved since she has been reading all the books. And we ended the day with ice cream, what could be better than that? Nora had a playdate at her preschool today before the official start in 2 weeks. We really fell in love with the place. The building is great with 3 different rooms for the kids to play in. My favorite was the creation room. Full of all sorts of tubes, papers, ribbons, tape, pom poms, glitter and so much more for the imagination to go wild. Today the table had cups of glue and a sectioned box in the middle with all sorts of collage items. So here is my own photo collage with all the preschool fun!! The preschool goes perfectly with my philosophy on early childhood education. 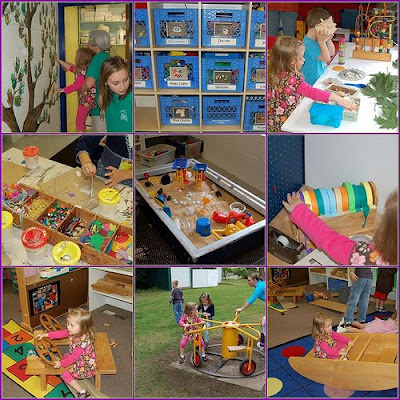 It is so developmentally appropriate being hands-on and kids learning through experimenting and playing. I have to say that teaching there would probably be my dream job. And speaking of teaching, the teacher is wonderful and has been there for 25 years!!! Can you imagine? It is going to be torture for Nora to have to wait 2 more weeks before the official start of school!! She is so excited and everytime someone talks to Madison about first grade, Nora has to make sure to let them know that she gets to go to preschool! I have been wanting to get the girls onto the beach with these dresses since I bought them on clearance last summer. The last few days I have realized that summer vacation will be over VERY quickly so I better get moving on some of the many things left on the list. And the weather reports for the next week don't look to good, so today we went down to Point Defiance Beach for a photo shoot. It started out a bit more stressful than anticipated with traffic being horrible and parking spots hard to come by. But once we got settled on the beach the fun began. I took 121 photos and whittled it down to 35. 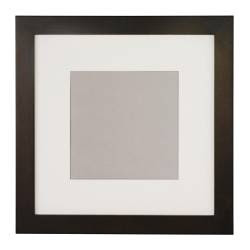 Now I need to pick 4-6 to get blown up larger and do a fun scrapping project on these frames I got from Ikea. I plan to scrap the 12x12 page and then add extra details to the matting around the outside. The girls enjoyed the breakfast theme this morning. I purchased these individual muffin cups to help with lunchbox packing. School starts in 2 weeks, YIKES!!! So I thought I would try them out. The girls were excited about the multiple colors. So hop on over to Sycamore Stirrings to check out other great muffin tin breakfasts! This was a fabulous hike for the family. VERY KID FRIENDLY and great for even the most novice of hiking families. The total loop is 3/4 of a mile and does not have any noticable elivation gain. There are some fun bridges going over creeks and lots of great things to look at. AND the biggest bonus is that you pick up a trail guide at the start of the hike. The markers kept the girls more than motivated and they would go running off to find the next marker. Honestly, my only complaint is that we would have preferred it to be a bit longer in length as the hike did not take as long as the drive did. We were able to enjoy a nice picnic lunch and it was some great family time. I highly recommend this hike for anyone in the area. To read more about and get directions click here. Yeah! Thanks to Katy for letting me host this week's MTM while she is on vacation at the ocean (lucky her!!!). Please leave a comment and I will add you to the list of participants. Here is ours! The girls ate this one really well. They love the Yogurt Cones and it is always a fun and healthy snack in our house. We had a fabulous time with our bike parade today. We had a decorating station for the kids to "pimp their rides" and then they took over our nice quiet cul-de-sac and rode and rode and rode some more!!! We did an official "parade" with me leading with a sparkler torch! I really can't convey how much fun this was for the kids and how low maintanence it was for me! I just threw a bunch of materials in a box, had some easy snacks set out and the kids took care of the rest for 2 full hours. I was stressing last night about not having organized games or crafts but I bet even if I would have had them, the kids wouldn't have been interested. It was just fun to BE KIDS and hang out with their friends. Lots of the moms were talking about how this is how we all grew up, riding around the neighborhood for hours with our friends. It is sad that this has to be a special organized event for us, instead of a daily occurance. We will DEFINITELY be doing a bike parade next summer. I will need to find a special event, since we won't have the Olympics as an excuse. Mine has been a bit sad this year. We had a very cold and wet spring and I don't think I had the motivation to get planting as early as I usually do. And then June and July were crazy months with visitors, birthdays, travels... that I had no time to plant. And now that I do, I wonder if it is worth it for the last month of summer. Add in the killer slugs that devoured all my dahlias along with many other plants and my flowers aren't in the condition I would like. The snapdragons are doing well and look like their own colorful jungle. I have hope that the blueberries and tomatoes my finally be ripe by the end of the week. I was able to get all the main tools and supplies I use off of the workspace with these kitchen bars and hanging accessories (thanks Sara for the idea!) This really helped to clear off the space. I even got one basket that fits my 12 x 12 papers so I have it organized with the current projects I am working on. And I have been wanting one of these magnet boards for a long time. The Ikea one was so much cheaper than anything else I have seen so I had to grab it!! Still working on filling all the containers. And I think they will be easy to pack up for my scrap retreats. Hoping that this helps to keep things out of my to keep me focused on my crafting, instead of always working on cleaning and organizing. The always fabulous Katy, at SycamoreStirrings, gave a challenge this week for her Muffin Tin Monday. The theme was Party Time and the challenge was to come up with a fun and entertaining muffin tin lunch. 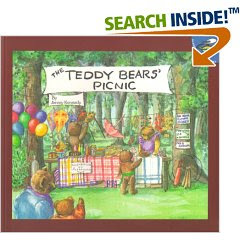 We have been reading Teddy Bear Picnic often so I thought that would be a fun theme! The girls had a neighbor friend over for the morning so we asked him to bring one of his teddy bears along too. They made invitations for their bears and I packed a picnic basket with a picnic blanket, juice boxes, and grapes. I used a basic sweet roll recipe to make these "bear heads". And then gave the muffin tin full of decorations. The kids put cream cheese frosting over the top and then turned their rolls into bear masterpieces! They had a really fun time doing the decorating and playing with the bears. Suprisingly, they ate very little of the rolls. Maybe they thought it was wrong to eat the sweet, innocent bears? I think they were just to interested in playing and running around the house. I have to say I thought the rolls were very delicious and ate more than my share of them! 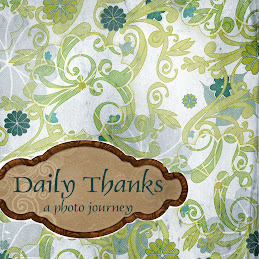 I am looking forward to going over to Katy's blog today to see what all the amazingly creative ladies thought of, so I can steal their ideas! Katy also has a contest going on to win some of her fun headbands so head on over to her blog and leave her a comment! Katy has asked me to host Muffin Tin Monday for next week!!! So if you create a muffin tin and would like to share it with others, just leave me a comment and I will add you to the list for next week! !